Post announcement of CAT 2017 Results, IIM Indore has released the list of candidates shortlisted for Personal Interview (PI) and WAT Rounds. Read on to find out the details. Post announcement of CAT 2017 Result last week, IIM Indore has moved ahead and released the first list of candidates shortlisted for PI-WAT Rounds. One of top MBA colleges in India has announced the list of candidates who would appear for the Personal Interview (PI) and Writing Ability Test (WAT) for further screening to seek admission to their flagship PGP and PGP-HRM programmes for 2018-20. As per tentative reports coming from IIM Indore, the B-school has shortlisted around 1400 CAT 2017 test takers for the GD-PI/WAT rounds. As per the admission shortlisting criteria released by IIM Indore, cut off of 90 percentile is mandatory in CAT 2017 to secure a seat in the B-school. In addition to this, a sectional cut-off of minimum 80 percentile is also mandatory to secure a seat in IIM Indore. Alongside, the institute also mentioned that it will allot 20% weightage to CAT 2017 score s in addition to 76% weightage to academic s performance and remaining 4% weightage to gender diversity for shortlisting candidates for the PI-WAT round. In all nearly 1400 candidates have been shortlisted as against 560 seats on offer at IIM Indore this year. The Personal Interview round will commence in the month of February. The shortlisted candidates will have the option to appear for the WAT-PI rounds at any one of the major cities i.e. Bengaluru, Chennai, Hyderabad, Kolkata, Mumbai and New Delhi for further screening. How to check if you have been shortlisted by IIM Indore? 2. Click on ‘Shortlist for WAT & PI Batch 2018-20’ option. 5. In case you are shortlisted , you will see a congratulation message. If not, you won’t see any security message on the screen and you will be asked to change the security code repetitively. 6. After filling in all the details, login to find out, if you are shortlisted for the PI-WAT Round. 7. It should be noted that those candidates who have scored 99+ percentile in CAT 2017, but have not met the qualifying criteria of scoring 80 percentile in sectional cut-offs, will not be shortlisted by the IIM-Indore. Last year IIM Indore had an intake capacity of 530 students which included seats from Indore and Mumbai campuses. The Indore campus granted admission to approximately 455 candidates whereas Mumbai campus had the capacity to admit 75 students. From 2018 onwards, the new batch will see an overall intake of 560 students. IIM Indore has launched PGP –HRM course that will enrol 30 students in both Mumbai and Indore campuses. The selection process and shortlisting criterion for the PGP-HRM remains the same for the candidates opting for PGP-HRM programme. 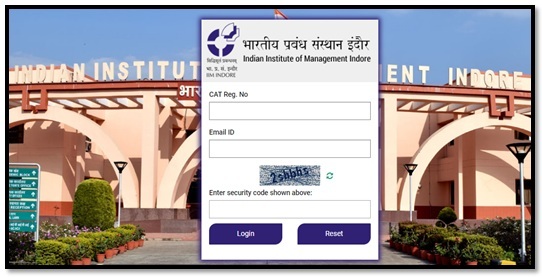 Along with the PGP course, IIM Indore also offers admission to other programmes such as: Fellow Programme in Management (FPM); FPM Industry; Executive PGP (EPGP); EPGP-E-Governance; 5 year integrated programme in Management. Spread the news among your friends who are eagerly waiting for the shortlist of IIM Indore! To stay updated with latest news on MBA institutes and results, stay tuned with us @ https://www.jagranjosh.com/mba .